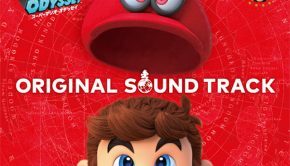 I am a musician who grew up on all types of music, but I have a strong passion for game music in particular. 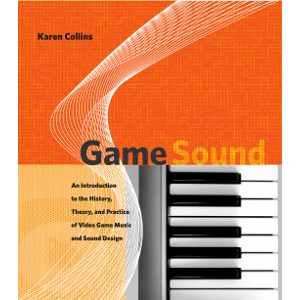 Game Sound by Karen Collins offers musicians like me valuable approaches to game composition, as well as a concise history of game audio. Game Sound covers aspects of game audio, from slot machines to cell phones, from arcade classics and the home console games they inspired. Karen Collins is the Canada Research Chair in Interactive Audio at the Canadian Centre of Arts and Technology at the University of Waterloo, Ontario, as well as being an associate professor at the University. As a result of her background, as well as her many contributions to the study of game audio such as The Oxford Handbook of Interactive Audio, Karen Collins can be considered an authority on video game sound. Game Sound reads like a text for an ‘intro to game sound’ college course. At some points while reading, I felt like I had to take notes, and that wasn’t really a bad thing. I now have a list of games to play (homework) as well as books to read as the text offers many reference works in each chapter. Many times while reading I opened up Logic Pro to try the various techniques listed in the book. I felt empowered with my newfound knowledge and started experimenting with sounds late into the night. In the opening chapters of the book Collins defines, with plenty of reference materials cited, the aspects that make video games unique and different from film. These chapters delve into the history of why game sound may have seemed limited compared to modern game music. As technology progressed, so did the music, but that is not to say that it was poorly written. The text describes a ‘cousin’ to video games, slot machines, as an inspiration to video gaming. I agree that slot machines and gambling is very much like a video game. I mean, think about it… Mario, Donkey Kong, and Sonic all collect shiny gold pieces. Each piece collected even makes a ‘bing’ sound. Collect enough gold things and you get more life. If I had some gold coins I would sure feel like I could live longer too. One of the many great insights Collins offers in this part of the book comes from a reference she shares from Steven Kent. She cites a section of his book, The Ultimate History of Video Games: The Story Behind the Craze That Touched Our Lives and Changed the World, stating that Atari’s founder wanted crowd noise for a win or loss during a game of Pong. Sounds like that were difficult to create at the time, so the developer used sounds that were located on the system itself. The sounds were not crowd noises, but beeps rather, though it gave video game developers and musicians everywhere something to improve on. Reading an anecdote like that ignites my imagination. I can’t help hearing in my head those crowd noises that didn’t make it into Pong, whistling and yelling and all. It seems that game sounds were just not that easy to create in the era of arcades and early years of home consoles. Through Collins discussion of early games I gained a high level of respect for the way sounds were made, or rather programmed. Collins spends a little time on the history of MIDI and how it spawned ‘bedroom’ studios. All that was needed was a computer with proper software and a MIDI keyboard. Collins goes into detail about how MIDI varied in sound because of the different sound chips and ways it was recorded onto software programs. The use of keyboards and MIDI instruments meant that more musicians would have a familiar way to compose music and get it into a game easier than ever before. By the end of chapter 4 I felt like I had a solid reference for the history of game sound. I had a ton of reference material to read and many undiscovered games to play for systems I missed out on. I believe the history of game sound gave me an idea as to what kind of sounds were available for the time and how to obtain that classic sound using modern software in order to spark some nostalgia. Chapter 5, Game Audio Today: Technology, Process, and Aesthetic, explains the pecking order of developers and designers that make up a development team. There are even illustrations with big bold vocabulary words to see where and who music goes to after it leaves a composer’s studio. The rest of the text guides the reader to the various kinds of music a development team will need. There are a few illustrations in the chapter that helped me understand how much of what kind of audio is needed (battle sounds, texture sounds, dialogue, foley artistry) and how to combine and master the sounds for a final mix. 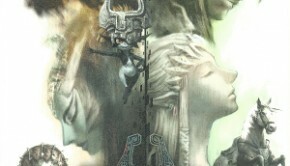 The final chapters of the book discuss the role of music in a game. 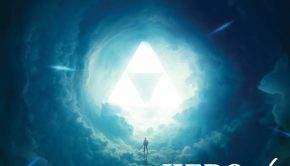 The text states that the level of immersion can depend on how ‘real’ a game feels and looks, which directly relates to how natural the music sounds to the player. Collins explains key factors that will aid in finalizing a project so the gaming experience is in balance with the audio. The text gives examples of diagetic and nondiagetic music and how those types of sounds fit into a game’s soundtrack. The importance of themes or leitmotif is explained and how it gives the player an aural reference for characters, emotions and key items. Perhaps the only real criticism I have for the book is that due to its publication in 2008, current technology is, obviously, not discussed. Given advances since its publication, a revision and update of this informative, in depth text should be considered. Regardless, this text was incredibly progressive for its time and still serves as an extremely useful introduction. I can now understand why I appreciate game music so much because of the background and inside information Collins has shared. I found it enlightening to read about all the aspects of game audio I have experienced throughout my gaming career. I feel that this is a great reference source for anyone who is involved in making a video game and the music that enhances the experience. When I do return to this text, I will focus on individual chapters as the text tended to have stand-alone information. There is still so much I have yet to learn about implementing music into a game, but I feel like I have a stronger foundation of how to compose for games now that Game Sound is on my shelf. I learned foremost that composers of game audio must compose music for a game, not just for the sake of music. This text also serves a reference when in doubt about even the smallest details like which sine wave pattern to use for a bass lick. This is a book I will have open on my desk for reference and bursts of inspiration while composing. I enjoyed learning about the history of game sound and what makes a bit tick. Posted on August 26, 2014 by Marc Chait. Last modified on August 31, 2014.